For nearly three decades, the Festival has existed as one of metro Detroit’s musical gems bringing many of the world’s premier chamber musicians to intimate, magnificent venues throughout the area. The 2019 Festival features many of the world’s most acclaimed and decorated performers, including the world-renowned, nine-time Grammy Award-winning Emerson String Quartet; MacArthur Genius and Avery Fisher Prize Winner, Leila Josefowicz; four-time Grammy Award-winning modern-classical superstars, Eighth Blackbird; and the award-winning, internationally-acclaimed soprano, Christine Goerke. Join us for an unforgettable two weeks celebrating these awe-inspiring artists and many more! Purchase a Festival Subscription Today! Purchase all six of the Emerson String Quartet’s performances of the Beethoven String Quartet Cycle at Seligman Performing Arts Center starting at only $200! Join the Festival for a star-studded Closing Night performance featuring Philip Setzer, Lawrence Power, Paul Watkins and more performing the best of Strauss, Bach, Snider, Walker and Turnage. 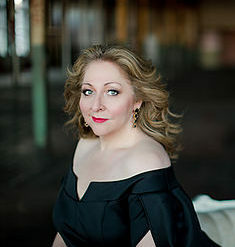 Also, the award-winning dramatic soprano, Christine Goerke, makes her long-awaited Festival debut. Witness the incredible artistry of one of opera’s commanding figures in the beautiful setting of Seligman Performing Arts Center. Address: 22305 West Thirteen Mile Rd. The Festival in Residence: Kerrytown Concert House – 6/28Community Concerts at the DIA – 6/30 at 1 p.m.